TeacherDance: Valentines, Friday Poetry and Cybils, oh my! Valentines, Friday Poetry and Cybils, oh my! Welcome everyone to our exciting end of the week, Poetry Friday. I am so happy to be your host today. The Cybils Awards were announced yesterday. Congratulations to Laura Purdie Salas, winner of the 2013 Poetry Cybil for BookSpeak! Poems About Books, and to all the other winners! The full list can be found here. The finalists deserve another bit of love, too, and here is that list. And, I know Valentine's Day was yesterday, but I couldn't resist carrying it over just one more day! Hope it was sweet for everyone! 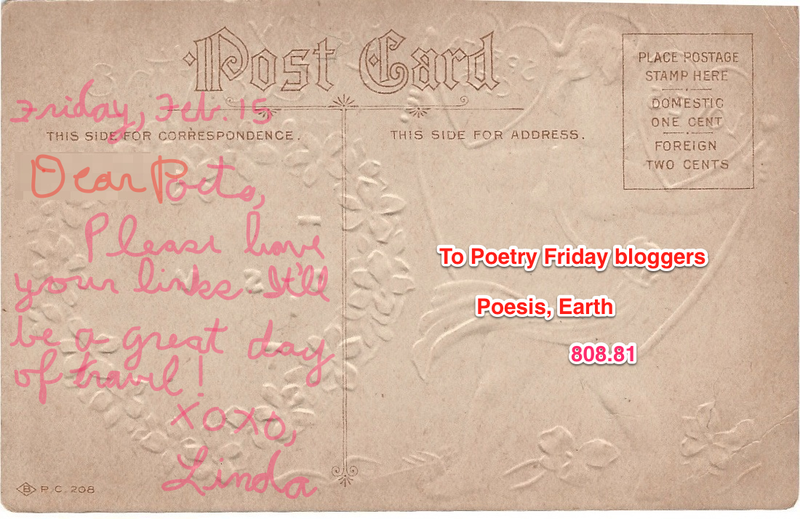 I've been much enamored of poet Laura Shovan's birthday countdown with postcards. Find her at Author Amok if you haven't already. I hope she won't mind if I sneak in a vintage Valentine postcard to welcome you to Poetry Friday. As I've written in the past, my life these past months has involved moving and cleaning out, and in my house, that meant throwing out many postcards and other correspondence or memorabilia. Don't worry, I kept a lot too! In my 'keeping', I found a few old holiday postcards, still unused, so this one is for all of you, and especially Laura, on her way to a big birthday! I wouldn't say the cupid is especially cute, but she is trying to be! This has always been a favorite time of year when I taught my mixed group of middle-school students. I shared, we studied, and then the students (and I) wrote love poems. They could write to anyone, or anything, and despite some occasional reluctance, the poems were wonderfully fresh and creative. I wish I could share some with you, but they have disappeared with the students. Students wrote to elusive boyfriends or girlfriends, grandparents, pets, favorite foods or backpacks, etc. And they shared discoveries of old love poems. Here is one that I often gave them, one that was popular with everyone, because the students were always surprised how modern it seemed, even though written so very long ago. Laura Shovan is on a poetic road trip, and sends us a postcard-of course-and a poem from the "world's most unique restaurant". You'll find out more when you click the link here! Stephen Withrow shares his poem inspired from the recent storm in the east, Blizzard Country. Myra GB at Gathering Books gives us a review of an anthology with two voices and a love song by Joni Mitchell, carrying on the love from Valentine's Day. Joy at Poetry for Kids Joy is playing with triolets this week, writing poems from two different sources. Iza has some surprises in store in her love poem about challenges and compromise. Laura Purdie Salas shares the poem, Skywriting, from her Cybils-winning poetry book, BookSpeak! Poems About Books. Douglas Florian at The Florian Cafe shares an original poem about moving by Emily Bronte. Charles Ghigna offers a look at A Symphony of Trees at Father Goose and at Bald Ego, he shares Dream Girl, a poem fit for Valentine's Day! Renee at No Water River requests our company for a fine puppet production of her poem that gives us Shakespeare's Romeo and Juliet in six verses, plus a visit with her co-producer, Julie Rowan-Zoch, fair artist! Tabatha at The Opposite of Indifference shares a number of poems from Elizabeth Smither, including interesting words and links about the Oxford comma. At A Year of Reading, Mary Lee shares a poem reflecting upon her very tiresome week! Margaret has had a filled up week with Mardi Gras, Ash Wednesday and Valentine's Day. She has written a series of traveling haikus at Reflections on the Teche. At Mainely Write, Donna writes of a part of Gull Haven, her new home that is being renovated. Read the story of this wonderful house here! Tara at A Teaching Life was inspired this week by a guest of honor for the State of the Union address, and shares a poem by Maya Angelou. Jama, at Jama's Alphabet Soup, shares Irene Sherlock's prose poem about our complicated relationship with food. Irene at Live Your Poem... has a wonderful interview with Laura Shovan (Author Amok), who not only writes poems from postcards but is a poetry journal editor. The links are in the post! Matt shares a lovely message for all of us in his poem at Radio, Rhythm & Rhyme. Diane at Random Noodling shares two poems, her own Valentine haiga and another poem from BookSpeak!! by Laura Purdie Salas! And Diane has a poem by Robert Greeley at Kurious Kitty, as well as a quote by him at Kurious K's Kwotes. Liz at Elizabeth Steinglass writes an ode to her bed. At Wee Words for Wee Ones, Bridget offers a poem of regret. Violet, of Violet Nesdoly/Poems has begun a new project, poems about women in the Bible. This one is about Leah. Tamera at TameraWillWissinger gives some sweet thoughts to mourning doves, more Valentines. Carrying on their science/tech theme, Sylvia and Janet share a science poem at The Poetry Friday Anthology. 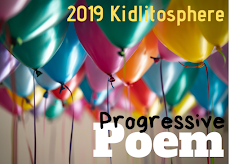 At Poetry for Children, Sylvia features more about our Cybils' poetry winner, Laura Purdie Salas. At Bildebok from Cathy Ballou Mealey, Cathy shares a poem about a birthday made all the more special by a blizzard. Amy at The Poem Farm has written a poem inspired by a gift from Joy Acey. There is a review of J. Patrick Lewis' When Thunder Comes: Poems for Civil Rights Leaders from Anastasia at Booktalking. MMSocks wants to know if one can retrieve a Valentine at The Drawer of M. M. Socks. At Bildungsroman, we find a poem by Philip Larkin. Jone at Check It Out shares a sweet poem about doughnuts by Gregory K. and offers a giveaway of his poetry book, The Late Bird. If you don't have it, go over to check this out! Andi at A Wrung Sponge has an original haiku about snow. At Readertotz, Lorie Ann tells about a picture book about Passover, The Longest Night by Laurel Snyder and Catia Chien, and shares the text from it. Then, at On Point, Lorie Ann shares a quote and a part of her verse novel, Loose Threads. Janet S. has a review of Twosomes: Love Poems from the Animal Kingdom by Marilyn Singer and Lee Wildish at All About The Books. Instead of Chaucer, we receive a beautiful understanding of how to write a love poem from Ruth, at There Is No Such Thing As A God-forsaken Town. Thanks Stephen. I imagine the storm was something to contemplate! Certainly the news was rather frightening! The post will be up at midnight MST. Thanks Joy, sounds interesting! I'll round you up at midnight! Thank you Iza. I'm looking forward to another Valentine! Thanks for hosting, Linda, and celebrating the Cybils--all of the Finalists:>) I'm in with "Skywriting" from BookSpeak and a little love for the Cybils process. Great excerpt that you shared! I love that you need tear stains and guile both for a love letter! Thank you Laura. What a lovely way to celebrate your award, with one of the poems! Thank you. I just moved so will be interested to read what Emily has to say about NOT moving. Looking forward to our spring SCBWI conference next weekend, where Jill Corcoran will be one of our terrific speakers, I'm in with a look at DARE TO DREAM... CHANGE THE WORLD. Thanks Robyn. Can't wait to hear what you say about Dare To Dream, which I've shared with my school! It's a wonderful contest! Nice to see both Charles. Thank you! In honor of the day of love, I have a video of my poem "Romeo+Juliet (abridged)" as performed by finger puppets (of course! ), with illustrations and an interview with Julie Rowan-Zoch. Long distance groups are interesting to do, aren't they, Renee. It was good to work with you, too! Thanks for this terrific post (read yesterday)! Thank you for hosting us so lovingly, Linda! Chaucer and a postcard, wow! I also like that we're in "Poesis" and that our zip code is from the Dewey! I'll be over to read about those interesting poems soon, Tabatha! A new poet for me! Sorry about the week; hope this weekend holds the extra day for you, Mary Lee! Wow, you have had a busy week, Margaret. But it does sound like fun. Greetings, Linda! Thanks for hosting this week. I loved that little "instructions for writing a love poem" poem. Good advice for much of poetry writing! For our busy week, we've had two family birthdays, a bridal shower and Valentine's Day. Everyone seems to try to squeeze a lot into the shortest month! Very, very busy for you, Donna, like many I guess! Happy to see you writing more about Gull Haven! Your post sounds wonderful, Tara. I am interested in seeing who the guest of honor is! What great postcards! And I like seeing a bit of Chaucer here today :). Hope you had a lovely Valentine's Day yesterday. Good-for "food" for thought, right? Thank you Jama! Thanks so much for hosting... happy day to you! It will be fun to read more about Laura's work, Irene. Thanks! Thank you Matt, glad you liked the Chaucer. It is a pleasure to share some of the classic poets. Thanks! Hi Linda! It's been a full-out poetry month for us, hasn't it? But, it was worth it! At Random Noodling I have a Valentine's Day haiga, and one of Laura's poems from BookSpeak! Kurious Kitty shares "the Conspiracy by Robert Greeley. Kurious K's Kwotes' P.F. quote is by Greeley, too. I loved working with you & the others, Diane. I did learn a lot! Thanks for your links! Thanks so much for hosting and for posting. Hi Linda! Thanks so much for hosting this week. Like Mary Lee, I feel pretty exhausted this week, and it has not even ended yet! Tomorrow, Saturday, is our Annual Staff Lunch and I'm part of the organizing committee. Yikes! Thanks for having our link up, Linda, truly appreciate it. Like for Mary Lee, sorry about extreme week. You are very busy I see! Fun to hear about your own love letter advice! Linda, Great post to end a great week of celebrations. Thanks for hosting Poetry Friday, too! Today I have an original poem filled with regret ;). Um-m, can't wait to read your poem, Bridget. Thank you! Your project sounds good, Violet. I am interested to see what you share. It's great to see poems that have involved research. Thanks Tamera. Your epigram of doves and love sounds wonderful. Great to see more of the wonderful anthology poems shared Sylvia. Thanks! Hi Linda - thank you for hosting and sharing such pretty postcards! Always nice to keep the celebrations rolling for an extra day. Sounds interesting to have a birthday in a blizzard, Cathy. I wonder if some were 'snowed in'? Oh, the idea of writing love poems to anything makes me so happy! I will absolutely be doing this, Linda. Thank you for the idea and for this post-so-full-of-love. Today at The Poem Farm, I have a word play poem titled "Let it Fly," inspired by a very special envelope sent to me by Joy Acey. Inspiration from an envelope? Sounds very fun, Amy. Thanks. This books sounds wonderful, Anastasia. Thank you! Glad you're carrying on about Valentine's Day too. Thanks! Happy Friday, and thanks for hosting! I posted he poem Days by Philip Larkin at my blog, Bildungsroman. Greg's book is terrific, Jone. I'm glad to hear about the giveaway & already love the poem! Thank you. Me again! My own blog, http://poetryforchildren.blogspot.com/ features details about Cybils winner Laura Purdie Salas and her poetry. Thanks! Great to celebrate Laura as much as possible, Sylvia. Thank you! 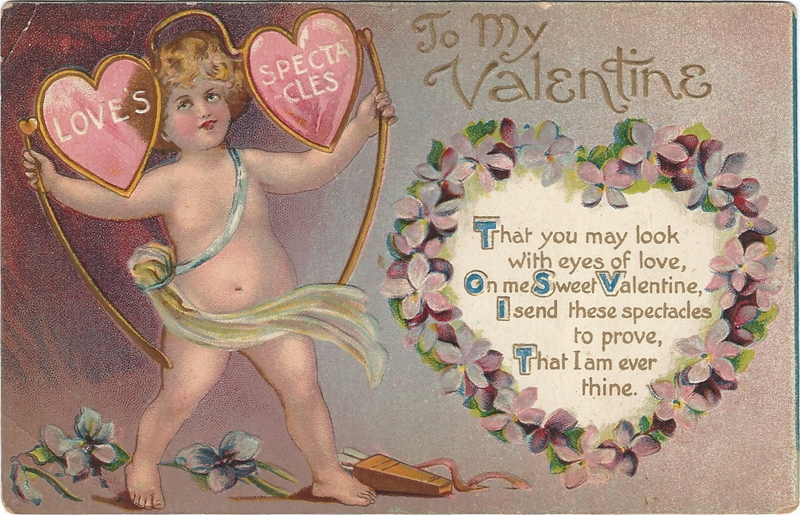 I was tickled to be able to send a valentine's e-card to my Airforce son from the New York Public Library yesterday. They had some vintage cards that were really something. Thanks for the Cybils shoutout here- love the celebration! And thanks for hosting. I have an original haiku at a wrung sponge today. Sending a card from the library sounds wonderful, Andi. I shared some vintage cards of my mother-in-law's last year. They used to make them different, didn't they? Thanks for the haiku! You are welcome, Lorie Ann. Thanks for both your posts! My selection is "Twosomes: love poems from the animal kingdom" written by Marilyn Singer with illustrations by Lee Wildish. This is the sweetest book, Janet. I'm so glad you're sharing it! Thanks! Oops, forgot to leave my link! http://thereisnosuchthingasagodforsakentown.blogspot.com/2013/02/poetry-friday-bird-understander.html Thanks for hosting! 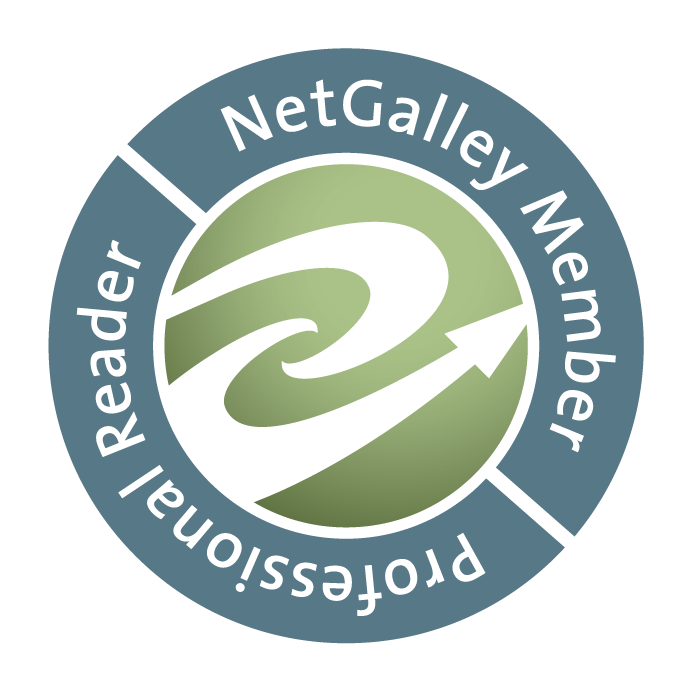 Thanks Ruth, I just saw your post on my reader & wondered if I'd missed you! Glad you remembered! I'd love to read your students' poems! I always love the ones my students write when they talk about what (and whom) they really love! I'll see if they put some in the anthologies we made. I'm not sure, but I'll look; they're all at school. It was great when they wrote them! I really enjoyed your Valentine postcard. I've been working on a poem after being inspired by Laura's postcards, too. Hopefully, it will be ready to share soon. Hi, Linda. A belated thanks for featuring my project and for posting the link on my behalf. I love translations of Chaucer and classical Greek and Roman poets that reveal how "modern" their writing was. In love, it seems, things never change! Thanks Laura! After some research (so I could tell the students) what I could find about this translation is that it was done in the 1930's and certainly is not in middle English, Chaucer's language. At times, I did share a line or two of his original words, but not always. Hope your trip was good! 10 for 10 Non-Fiction Picture Books-My Best! More Good Books from the Library! Some Good Reading This Week!